Several kings of the Fifth Dynasty selected for their pyramid complex an area of desert northwest of modern Abusir village. 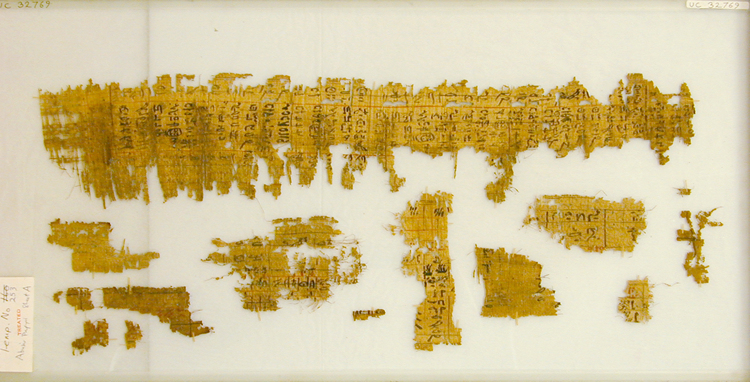 In the late nineteenth century, several museums acquired groups of papyrus fragments from the business papers of one cult, that for king Neferirkare Kakai. Together this remains the largest Old Kingdom (about 2686-2181 BC) papyrus find. In the late twentieth century excavations by the Czechoslovak expedition on the site, more papyri were found from two other cult complexes, (1) for king Neferefre (more recently read Raneferef), and (2) for the king's mother Khentkaus.